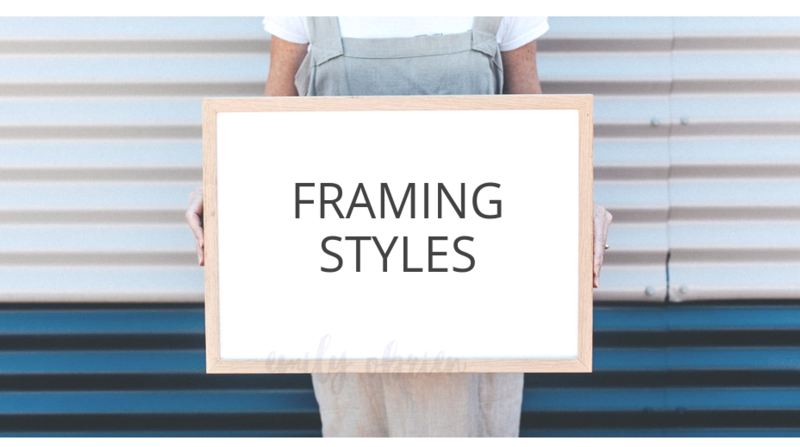 When it comes to picture framing, design can be as simple or as elaborate as you wish. Choosing colours and textures that beautifully present your work will make you love it even more. Picture frame design works best when materials are perfectly balanced with your artwork creating a harmonious feel and mood. By adding a little personality, you have something unique and in tune with you. There are many different styles and choosing the right frame will ensure it is fitting for your purpose. With styles including Mid – Century Modern, Hamptons. Farmhouse, Industrial and many more. So which style home reflects you? This is a look that hearkens back to the turn-of-the-century industrial era. The furniture is simple, comtempory and functional. This captures the carefree and adventurous spirit. A weathered vintage look with soft and opulent furnishings. Minimalist, modern, glamorous chic with vintage items. How do you incorporate framing into this? Choose any image you love. It could be a family portrait, your favorite holiday spot or your wedding photos then bring them to me and I will create a little magic and frame them to perfectly suit your home style. Warm and relaxing beach house spirit. Think of unfinished wood tones, linen fabrics and soft blue tones.